WEM News: What was your biggest chal­lenge when launching the Boehringer CHC busi­ness in Turkey? JÜRGEN FRITZ: Being a con­ti­nen­tal, West­ern Euro­pean indi­vid­ual and man­ag­ing a team of nearly 100 sales reps and seven inter­nal head-counts, while at the same time establish­ing a suc­cess­ful Rx busi­ness within a highly volatile mar­ket envi­ron­ment, pro­vided me with sig­nif­i­cant chal­lenges on a daily basis. Cul­tural and man­age­r­ial dif­fer­ences, which may not be appar­ent at first glance, require a solid fun­da­men­tal knowl­edge and a sense of humour. WEM News: What was your nicest expe­ri­ence in Turkey? FRITZ: The peo­ple! Even dur­ing the tough­est moments of my four-and-a-half years in Turkey – and there were indeed many of them! – the highly ded­i­cated spirit of my sales and mar­ket­ing team pro­vided me with the needed “Return On Invest­ment” and pride required to keep on going. WEM News: How do you feel about the future growth poten­tial for OTC brands and non-generic Rx brands in Turkey? FRITZ: Turkey has a very strong local GX busi­ness, with com­pet­i­tive prices. It is rather diffi­cult to launch a new OTC brand in such a mar­ket envi­ron­ment. How­ever, due to an increas­ing pop­u­la­tion, as well as a sig­nif­i­cantly increas­ing number of mid­dle-class con­sumers, pre­mium west­ern OTC brands will find their way to Turk­ish consumers’ brains. As in many other Emerg­ing Mar­kets, OTC brands, which exhibit fast onset action (eg, RhinoPRONT®), def­i­nitely meet Turk­ish con­sumer expec­ta­tions. Busy people need fast and effec­tive medication! WEM News: What are the three key fac­tors in devel­op­ing a suc­cess­ful OTC/Rx busi­ness in Turkey? FRITZ: 1) Select brands that deliver what they promise; 2) Do NOT expect to break even before your third year. Turkey is a strate­gic invest­ment that requires a long haul; 3) Solid man­age­r­ial and cross-cultural skills are crucial. WEM News: And finally…would you please share with our read­ers your favourite Istan­bul restau­rant? FRITZ: Of course, there are plenty of those. Istan­bul is a colour­ful, busy and multi-cultural city with around 16-18 mil­lion inhab­i­tants from all over the globe. My favourite restau­rant is located in the for­merly Greek-Ottoman neigh­bour­hood of Fanari (today Fener), at the Golden Horn on the Euro­pean shores. It is called Asitane (www.asitanerestaurant.com). Asitane’s famous chef pre­pares “ancient Ottoman dishes” based on recipes that date back to the 15th cen­tury. Reser­va­tions are required(0090 212 635 7997). Enjoy! Jür­gen Fritz (48) has a track record of more than twenty years of suc­cess­ful OTC and Rx expe­ri­ence, pri­mar­ily in the Emerg­ing Mar­kets, with a main focus on the CEE region, Turkey and the Near-Middle East. 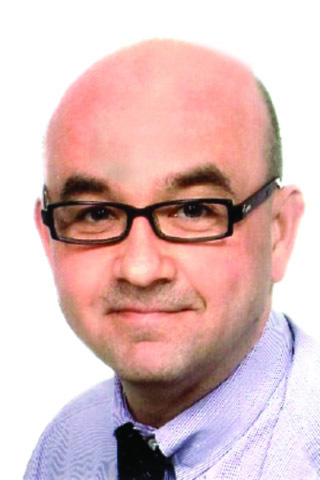 In 1996, he launched the VMS brand Dop­pel­herz in Rus­sia, the Baltics and Poland before mov­ing on to Proc­ter & Gam­ble Med­ical Hygiene in the CEE and NMEA mar­kets. In 2007, Mr Fritz started up Boehringer Ingelheim’s ‘last white spot’, a Turk­ish CHC busi­ness that manages brands such as Thomapyrin, Bus­co­pan, Phar­ma­ton, Dul­co­lax and Anti­s­tax. Mr. Fritz joined the Recor­dati Group in 2012 as a mem­ber of its local man­age­ment team. Today, Mr. Fritz is mar­ried with two chil­dren and lives with his fam­ily in Mainz, Ger­many.